A house is not a home without a sofa. A sofa create comfort and allow family and friends to socialise, unwind and spend time together. With that saying, a new sofa is an investment. A good investment provide a good return. 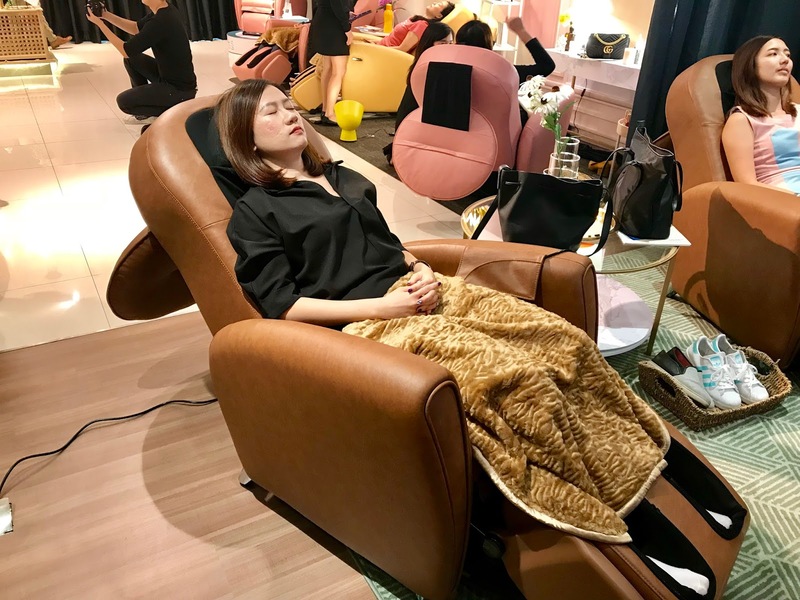 What do you know about OSIM? 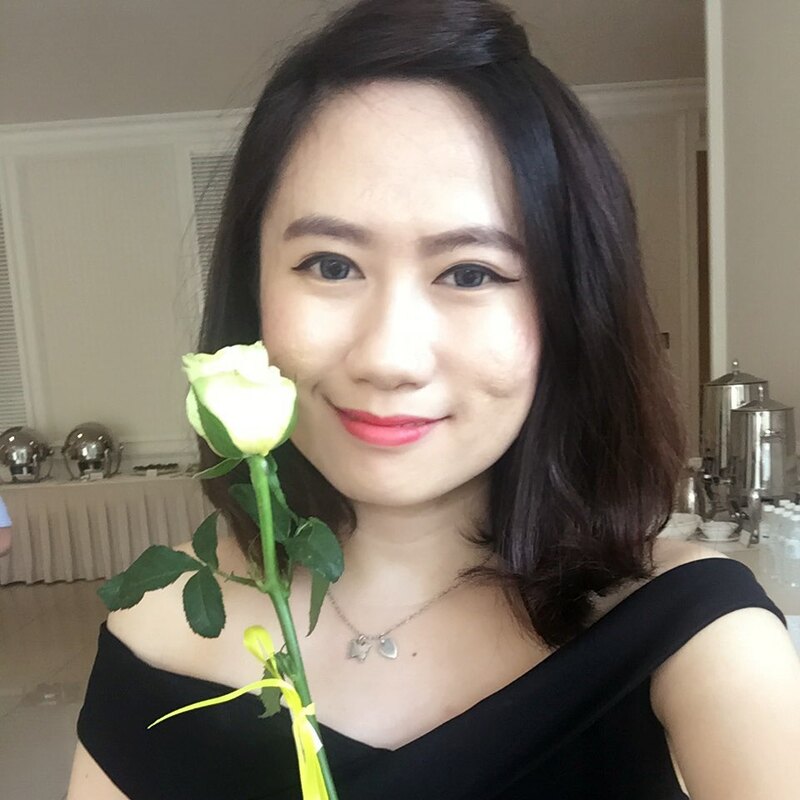 Established in 1992, OSIM (Malaysia) Sdn Bhd is a leading healthy lifestyle products company which continues to gain greater market share and strengthen their leadership status year-on-year. 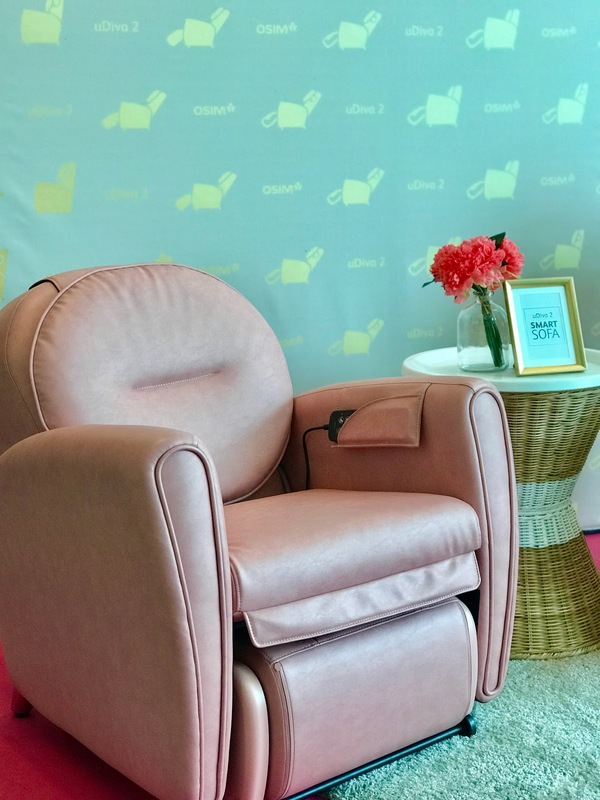 With over 47 outlets nationwide and still expanding, OSIM Malaysia focuses on inspiring individuals to take control of their well-being and work towards feeling great and looking good. 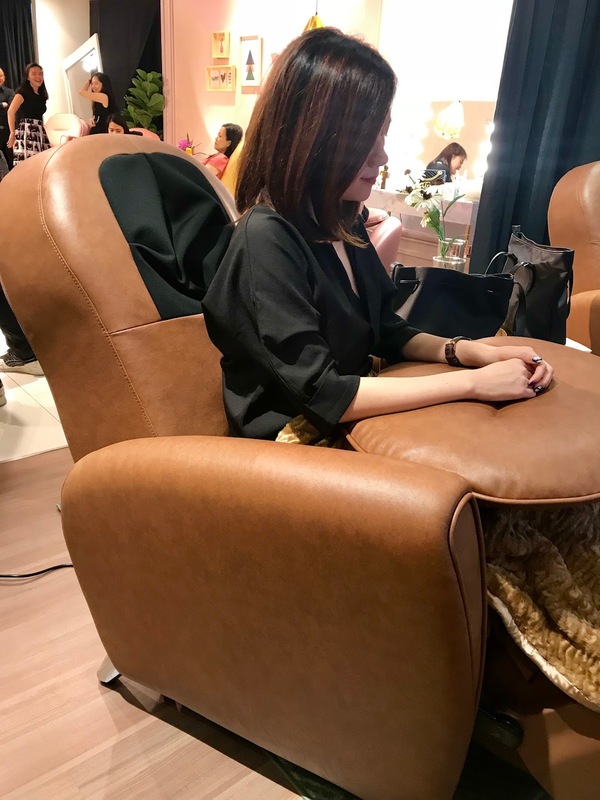 Thank you OSIM Malaysia, I get a chance to experience the new massage chair. I wonder what make my back feel relax when sitting on it. 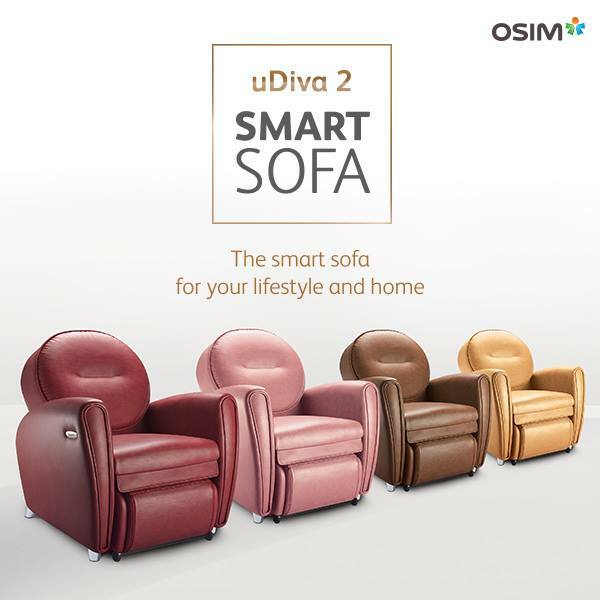 Say goodbye to conventional sofa chairs and welcome the new OSIM’s latest revolution effort - uDiva 2 Smart Sofa. 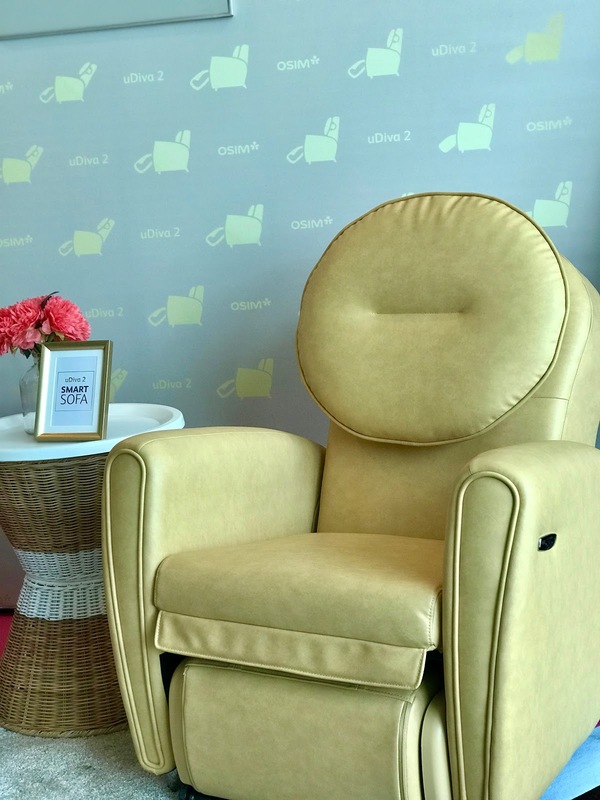 Innovation has always been at the heart of OSIM. 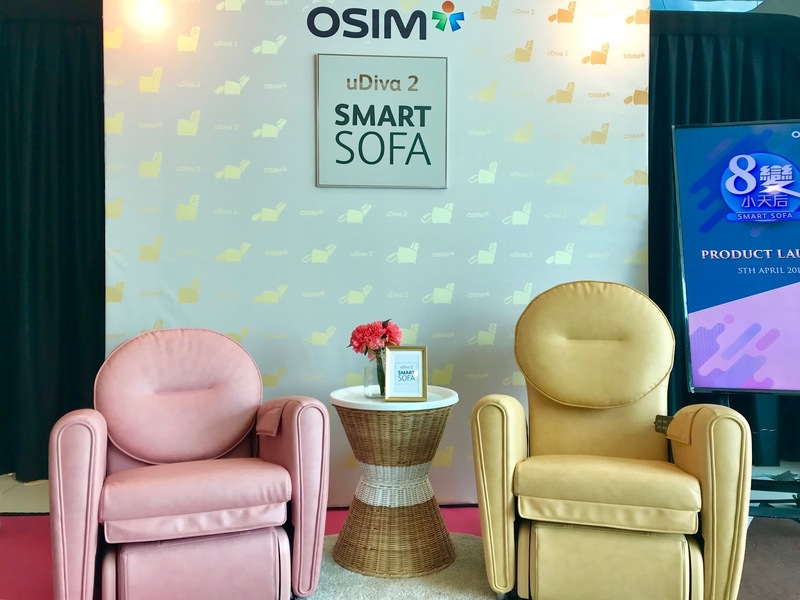 With consumers growing concerns about multi-purposes and design, OSIM has developed OSIM uDiva 2 Smart Sofa. By combining state-of-the-art-design and top notch massage technologies, the newly released uDiva 2 is a smart sofa that helps users to relax, take them to the greatest states of relaxation as well as recovering from the toll of every day stress. The technologically and brilliantly designed OSIM uDiva 2 Smart Sofa comes in a sophisticated package that fits perfectly in any desired space. This sleek-looking smart sofa is not just aesthetically pleasing it also fully retractable to offer more living space when not in use, saving more than 34% of living space. Another breakthrough of uDiva 2 Smart Sofa is that its backrest and footrest can be used independently. Combined with its patent pending ‘Hybrid Power-ball Massage Ball Technology’ and patented ‘Hyper-power Foot Massage Technology’, this smart sofa promise to bring maximum lifestyle enjoyment to consumers. Unlike any conventional sofa, the uDiva 2 Smart Sofa features 8 versatile transformations with something to suit every need and moods. The uDiva 2 Smart Sofa will give user a triple benefits of sofa, massage chair and lounger — all into one nifty package. i. Sofa: The uDiva 2 Smart Sofa can be comfortable as a sofa, allow users to retreat for some quality ‘me’ time. ii. Sofa with ottoman: Pamper yourself at home as you engage in your favourite beauty routine. iii. Leg massage: Provide a complete reflexology session involving calves, ankles and feet that will melt away soreness and pain. i. Back massage: Dispel back aches with a blissful back massage while you catch up on your social media platforms. ii. 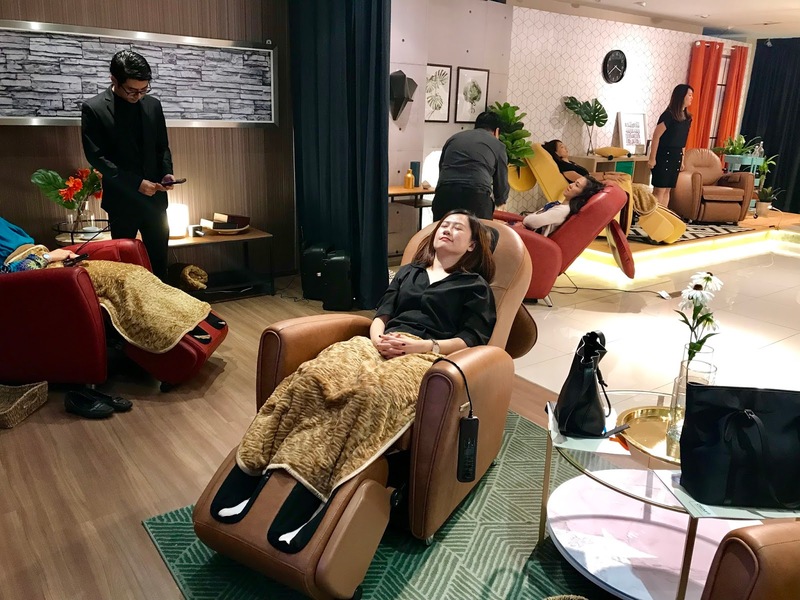 Back massage with ottoman: Complete with an ottoman, the uDiva 2 Smart Sofa can help to soothe and reduce back pain as well as promoting a better posture. iii. Upright full massage: Get your muscles massaged to reach maximum relaxing moments while you immerse in your favourite drama. iv. Lounger: A lounger you can lay down comfortably on while you read a book or apply facial mask. 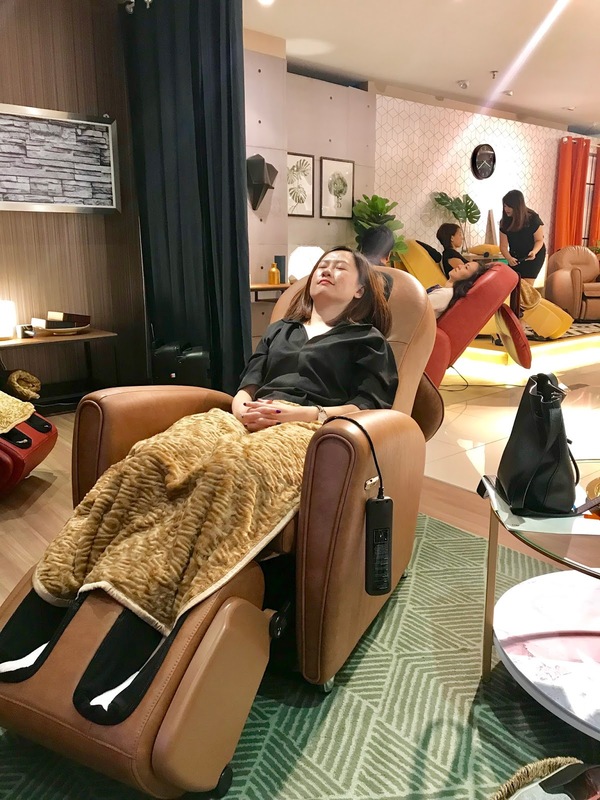 v. Reclined full massage: Drift off to serenity with specially designed massage programmes that soothe you from head-to-toe. 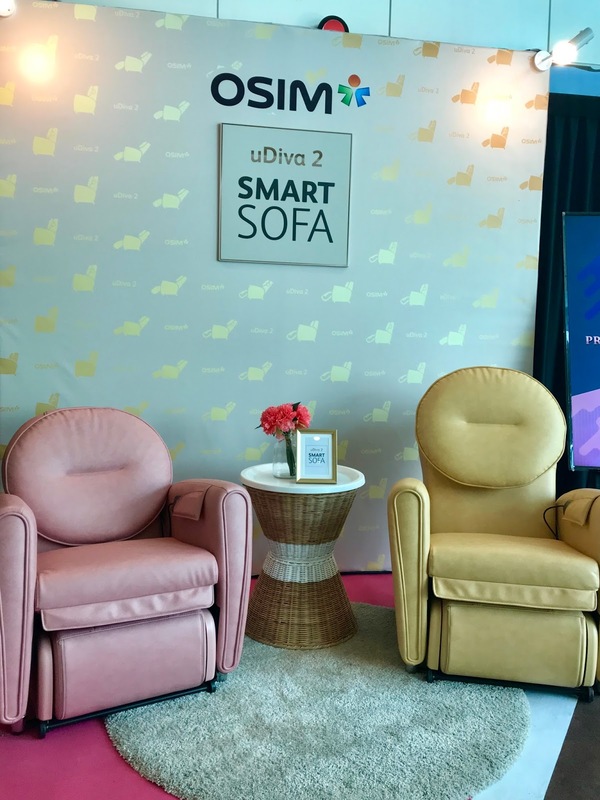 Tried the new OSIM uDiva 2 Smart Sofa for the first time indeed it makes a good impression. 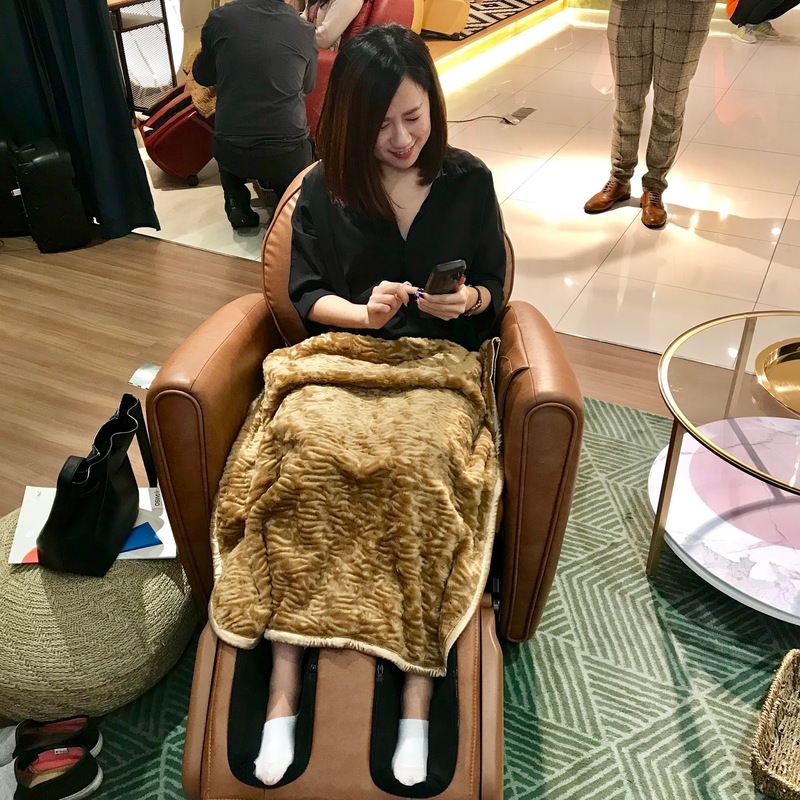 The newly massage technologies that installed in the Smart Sofa indeed increase the level of comfortability and heighten the massage performance. 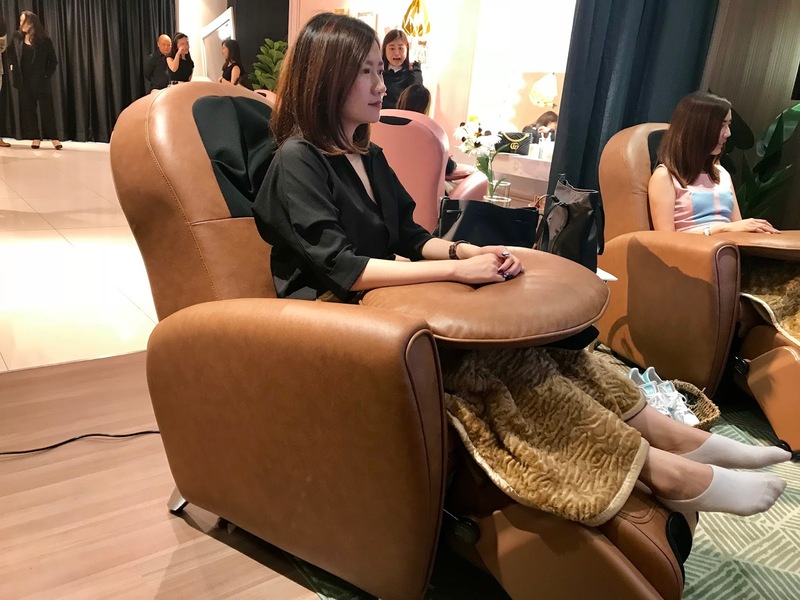 It's difficult to describe the satisfaction in words as everyone have different expectation in massaging, so I think it's better that you test it yourself at your nearest OSIM outlets. The uDiva 2 Smart Sofa is now available at all OSIM outlets in Malaysia, with retail price @ RM8,988. 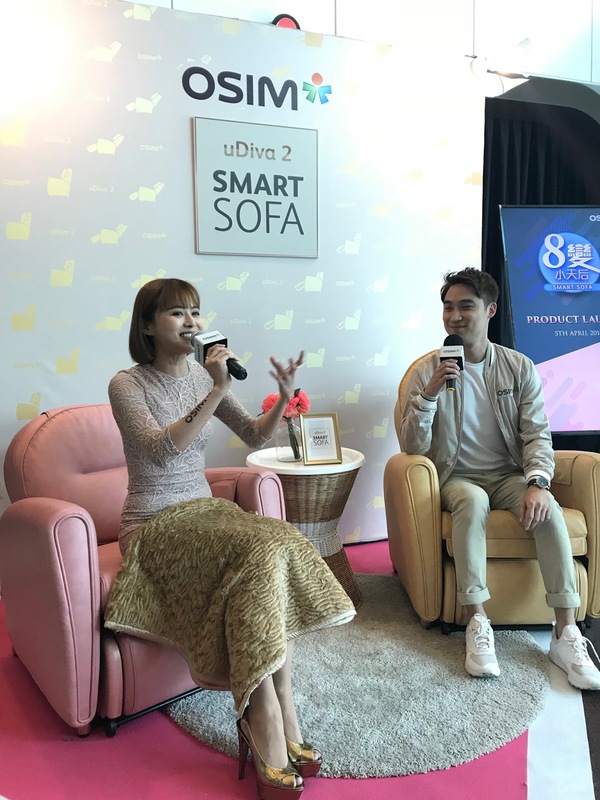 In conjunction with the new launching, you can now purchase the smart sofa with launching price @ RM7,388, with up to 24 months instalment (only RM308 per month). This promo only valid till 15th April 2018!